A counterintuitive proposition is one that defies perceived logic or common sense. Science based truths are said to be counterintuitive when they fly in the face of emotions, and other cognitive processes outside of rationality. The most famous brain teaser related to this paradox is named the Monte Hall Problem after the host of the television game show Let’s Make a Deal. The problem was originally posed by mathematician Steve Selvin in a letter to the American Statistician in 1975. Most people refuse to switch. At worst, they intuit that the odds are 50/50 at that point. However, the factual mathematical probability deems that the contestants who switch have a 2/3 chance of winning the car, while contestants who stick to their first choice have only a 1/3 chance. Trust me! Look it up. In dealing with the human body, sometimes we have to go against what our body is telling us. Take the issue of dealing with moderate pain in arthritic joints. One of our body’s warning signals, wracking joint pain, seems to be encouraging us into immobility. However, as any arthritis sufferer will tell you, the best way to mitigate the pain is to move. Gentle exercise and movement of the joint brings heat and blood flow to the affected area and a reduction of pain. Every morning, the first four blocks are the most painful. One has to counterintuitively work through the pain to get relief. Tellingly, this warning usually comes at the part of a race when the competitor needs to put on a finishing burst; a “kick”; a “stretch”. As Elizabeth Weil wrote recently in her article “Growing Up Fast” in the March 8th Sunday New York Times, “Elite athletes excel at ignoring the signals from the central governor and pushing through exhaustion”. There are plenty of memorable “finishing kicks”: Emil Zatopek in ’52, Steve Ovett in ’77, Seb Coe in ‘79, Billy Mills in ’64, Jenny Barringer at the Pre, and Mary Decker in the ’83 World Championships. Lauryn Williams once overtook six or seven runners in a relay leg at Penn. All, I am sure, fought with their intuition, and better judgment at the moment of breakdown, and willed themselves to victory. 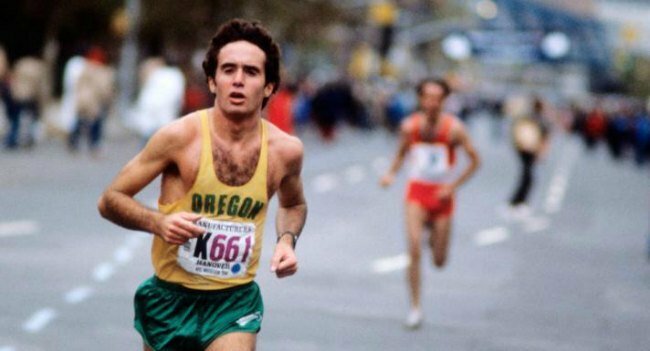 My fellow Cuban, Alberto Salazar, sometimes finished races so depleted that he needed IV fluids at the end of a race. As Weil recounted, “Once, in 1978, at age 19, at the end of the Falmouth Road Race on Cape Cod, he collapsed, his temperature spiked to 107 degrees and a priest read last rights”. Another Cuban, Alberto Juantorena, had a devastating “kick” in the middle distances. 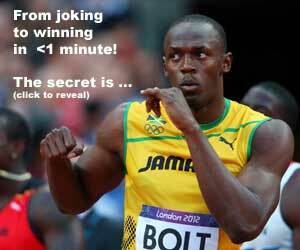 His legendary nine-foot stride produced epic finishes against his rival, the Kenyan Mike Boit. I had a memorable ajiaco dinner with El Caballo in Havana in 2009, where he tearfully described the race when he realized he no longer had a closing kick and knew he had to hang his spikes up. Theories on weight loss also lend themselves to counterintuitive conclusions. In an amusing piece last year in the Washington Post, Lenny Bernstein contradicted one of the myths about dieting. The article, titled “Where does fat go when you lose it?” summarized a short, but important, paper released in the British Medical Journal. Authored by Reuben Meerman and Andrew J. Brown, the study debunked the theory that fat is burned off and excreted in urine and feces. It is not, for the most part, converted to heat and radiated into the atmosphere. And, unfortunately there is no “fat fairy”, that comes at night and carries it away [the reason why you always weigh less in the morning]. Why is weight loss so difficult? Imagine how much “stuff” you have to breathe out to account for one pound. No quick fixes; no magic pills; no diuretics; no sweat boxes. Just one simple, tried and true, formula. Doug Logan is an Adjunct Professor of Sports Management, at New York University. He was the CEO for USATF from 2008 until September 2010 and the CEO, President and Commissioner for Major League Soccer from 1995 to 1999.